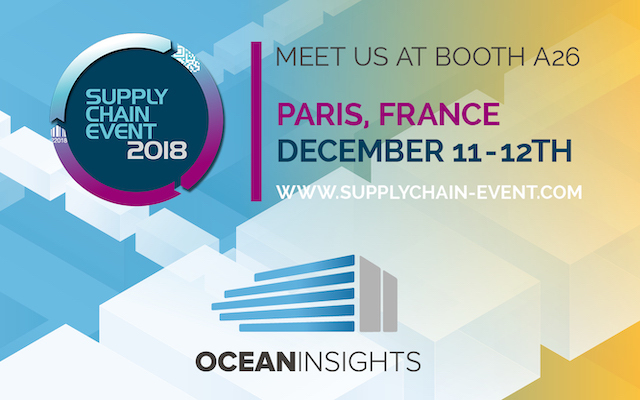 The annual digital Supply Chain Event (SCE) in Paris that brings together over 80 exhibitors and solution providers for professional networking in the supply chain sector saw Ocean Insights (OI) participating for the first time in December 2018. The aim was to highlight its presence on the French market, enhance its visibility among French supply chain professionals, and position the company as a key provider of container tracking and tracing services. “I was very satisfied with our first involvement at a relevant exhibition in France. Shippers, freight forwarders and companies from the industrial and manufacturing sectors, in particular minerals and appliances, were curious to find out more about our logistics tech solutions and very positive in their response to our Container Track & Trace (CTT) and Container Sailing Schedules (CSS) tools,” reports Floriane Crickx, Ocean Insights’ Regional Sales Director. “It’s great to be able to provide solutions that meet multinationals’ expectations.” Besides shippers and freight forwarders various multimodal and collaborative platforms asked for OI data to be integrated into their systems. 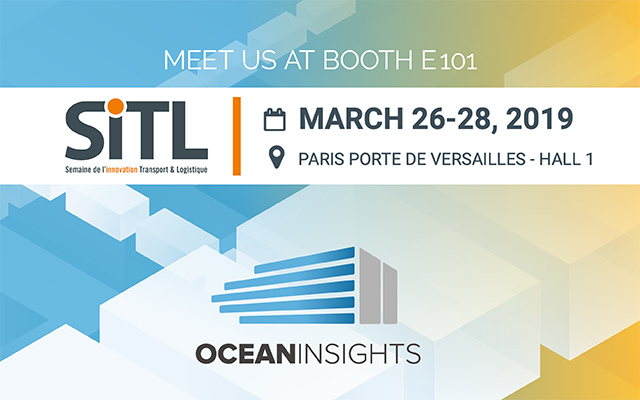 The companies visiting the OI booth were all looking for more detailed control, greater accuracy and improved transparency in their freight operations in order to improve monitoring (in particular of demurrage or detention events), reduce costs, and reconsider how to optimally ship freight. 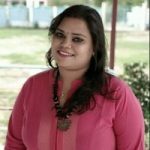 What particularly impressed them about OI’s offering was the detailed tracking solution, the accuracy and depth of visibility for their sea freight operations, how easy the OI tools are to implement and use, and the pertinent data. OI’s data-processing expertise, experience and market understanding were additional plus factors. Of the many good contacts made at SCE three are already testing the OI solution.